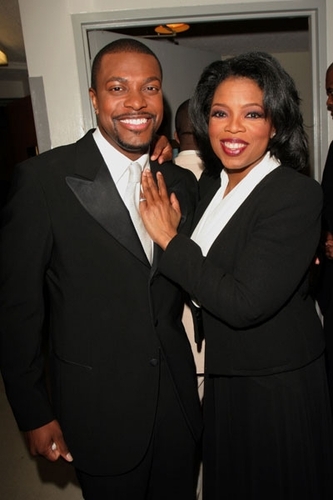 Comedian Chris Tucker is pictured with Oprah at an event with Ziamond Cubic Zirconia CZ Jewelers. Ziamond offers an extensive collection of Cubic Zirconia Jewelry in 14k gold, 18k gold and platinum. It is Hollywood's best kept secret!